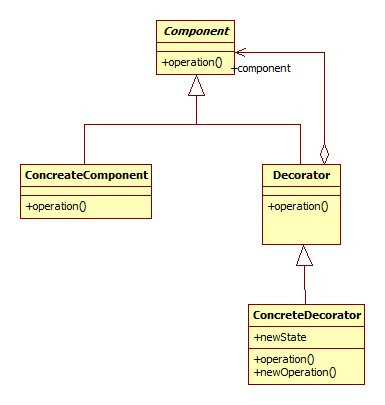 Decorator is a structural pattern that adds additional responsibility to the object at run time. This pattern adds responsibility to a particular object not on the class. As a result different object of same type can have different responsibilities. I would explain a real life example from my experience. I am a biker. Every morning I go to office riding on my bike. When I bought this bike the seller just sold the standard bike to me. They didn't provide any tail light, head light, mud guard and even the kickstand with the bike. Later I added or decorated my bike by adding a tail light, mud guard and with a kickstand. So, functionality of each of this component is different. I added them with my bike and they are responsible for additional functionalities. This can be thought of as a decorator pattern example. Here first I have the bike with standard installation. Then I decorated it with other component. I will write here about oracle export,import using sqlplus. I assumed that you have basic idea about oracle, sql. You can do this using oracle export, import facilities. These two facilities are really powerful to smooth data transfer. Usually I do this using sqlplus command facilities. At first you need to create dump file. Enter command prompt then type exp in the prompt. It will ask for userid and password of the schema. Suppose your schema is ab and listener name is biis and password is ab. Then type mak@iis and then password makiis. Here we dump all object(tables,grants,constraints,function,procedures,view,materialized view etc) under user ab. sqlplus will ask for U for user, T for tables and E for entire database. Then enter other options such as export grants, export table data, compress extend etc. After entering all the options export will start and if you see a message at the end stating that "Export terminated successfully without warnings" then dump is 100% successful. First create the user xyz. Then enter in cammand prompt and type imp. Then type username and password of the user on which you want to import objects. All objects from ab to xyz will be imported successfully. I accepted the default dump options for import and export. I assume that you know the basics of struts and you are using lower version than that of struts 2.0. 3. Putting Action Form's Data Into User Log Table. You have to do two things to implement custom request processor in struts. Be sure to put above lines after the ending of action-mappings. 2. Create a class for example MyRequestProcessor extending class RequestProcessor and override the method processPreprocess for example. You can override any other method. The processPreprocess always return true. Returning false from this method will abort request processing. For example if user is not valid for the requested action then you may return false. 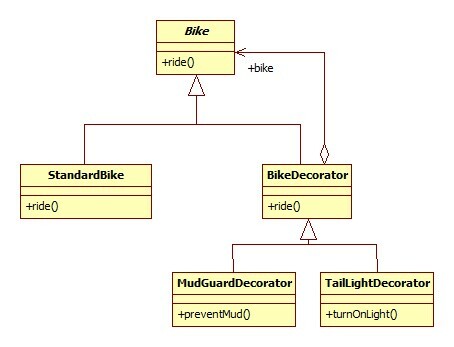 Before going to details let us see the sequence of processing a request in struts. Suppose user is requesting the action UserAction. If you are overriding processPreprocess of RequestProcessor using your MyRequestProcessor then you can control user access. //Check if userName attribute is there is session. //if user session is valid then check user requesting action is valid or not. //actions is saved in database. Using Browser history feature and re-submit form. What happens in form submission? Suppose you have a form named adduser.jsp and an Action named saveUser.do. So, on clicking submit in the adduser.jsp page struts finds the mapping saveUser.do and redirect to this url. So, in the browser url you will find /app/saveUser.do. and when you click on refresh same url is called and same form is submitted again. Struts provides several ways to protect this. Suppose form submission result is shown in a page called success.jsp. So, if redirect is set true in forward of action in struts.config URL in the URL bar becomes /app/success.jsp. So, if you refresh on again the success.jsp is called not the /app/saveUser.do. So, in this way we can protect against refresh. But, unfortunately this does not protect against goint to back button of browser and submit the form again. resetToken method is used to clear the Token set for this action. Because if you have multiple form you must clear the Token. Other wise for new form you will always find duplicate form submission error. Suppose action addUser renders adduser.jsp page. So, you have to save token in addUser corresponding class by calling saveToken(request) method. You should validate this token in the submit action which is saveUser.do here. All of the above has its own advantages and disadvantages. I will describe here details of these three. 1. Fixed LayoutFixed layout websites looks same in all container. Whatever the monitor size, pixel it is always same. Because of its rigidity it is also called ice layout. Developer can organize elements any way he/she likes. If you set the width of your design to be 720 pixels wide, it will always be 720 pixels. If you then want a branding image spanning the top of your design, you know it needs to be 720 pixels wide to fit. Disadvantages. This layout cannot utilize space available. They are always same what ever the window size is. A site made for 800 600 screen resolution looks tiny in a higher resolution screen and in vice versa a site made for 1024 760 screen will cause scrolling in lower resolution. A reader with a mobile phone or a handheld computer will have to scroll laterally; a reader with a high-resolution monitor will see a narrow strip in the middle of the screen; when printing, the right-hand side can end up off-page. Besides, when the reader increases the text size, the text will sooner or later break out of a narrow column and we have an overlap that can render the page unreadable. 2. Elastic Design LayoutActually elastic design mainly works on websites text. An elastic layout scales with users’ text size. Elastic design uses em values for all elements. Ems are a relative size, written like this: 1em, 0.5em, 1.5em etc. Ems can be specified to three decimal places like so: 1.063em. has a computed font size of 16px then any element inside that layer —a child— inherits the same font size unless it is changed. If the child font size is changed to 0.75em then the computed size would be 0.75 × 16px = 12px. DisadvantagesIt has same disadvantages like liquid design except that it doesn't break because of changes in text size. Liquid layout specify width height using percentage instead of px or em. For web designers the monitor screen does not have fixed width or height because these variables change, at times in unpredictable ways. People might have larger buttons, toolbars such as Yahoo or Google, they open the Favorites page on the left, they have a double task bar and so on.Therefore the width and height of the screen is different from user to user. By the name liquid this type of design implies that what ever the container that is monitor or browser the layout will be furnished according to the space. So, high, low resulution is not a problem for liquidly designed site. Main point about liquid design is accessibility. Liquid design eliminates irritating design flows such as much white space, disapperance of certain sections etc. Too much content required for this type of layout. Too much content can confuse user.The lines of text become way too long on a large monitor Overlap is hard to avoid in small windows when a column becomes too narrow to contain long words. CSS provides a solution for both problems (max-width and min-width), but Internet Explorer doesn't support any of those.